Sault Ste. Marie is fortunate enough to be a border city with Sault Ste. Marie Michigan which means we get two film festivals. Please see below for more information about these great festivals. 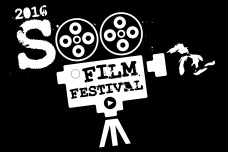 The Sault Sainte Marie, Michigan Soo Film Festival's mission is to promote and host film and allied arts festivals in the City of Sault Ste. Marie, Michigan.